By: Jim Woodring, Kilian Plunkett (Contributor), Killian Plunkett (Illustrator). When Col. Doctor Paul Church switches from animal research testing to alien testing, the public ends its protests and instead praises the good doctor--until his research assistants begin to die of mysterious causes. Only then do they face the important question--what else is a torturer of Aliens capable of doing? Full-color throughout. 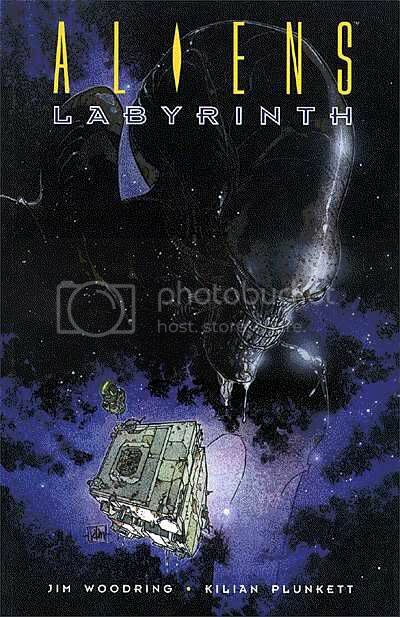 Graphic novel format. Rumor has it that the crew members of space station Innominata are expendable and can be used in clandestine experiments. 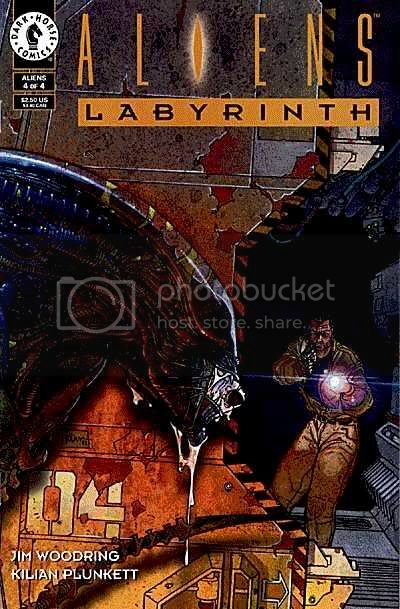 Rumor has it that Paul Church, the Colonel Doctor in charge of the research facility, has been running tests to determine what makes the Aliens tick and that he's using Colonial Marines as bait. Well, the U. S. Government doesn't like rumors -- they like facts. And so they've sent Colonel Doctor Anthony Crespi to investigate. He's empowered to get the truth any way he can. His goal is to find a way that will get him off that station alive. 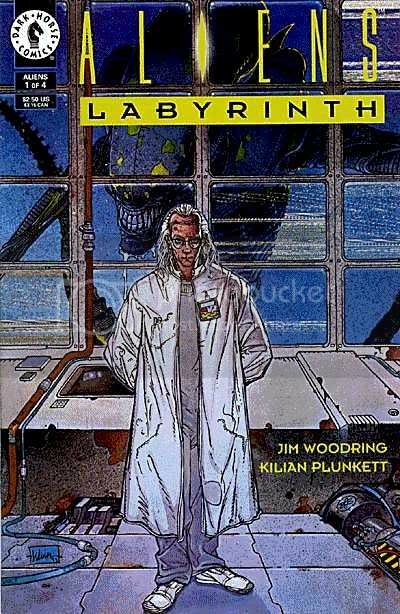 Harvey Award-winning writer Jim Woodring crafts a spellbinding tale of horror and mystery in Aliens: Labyrinth. Like I said its a good story. However I must say that the graphics are not as good, the faces are terribly done someone must of thought that those squiglly lines some how made a face. 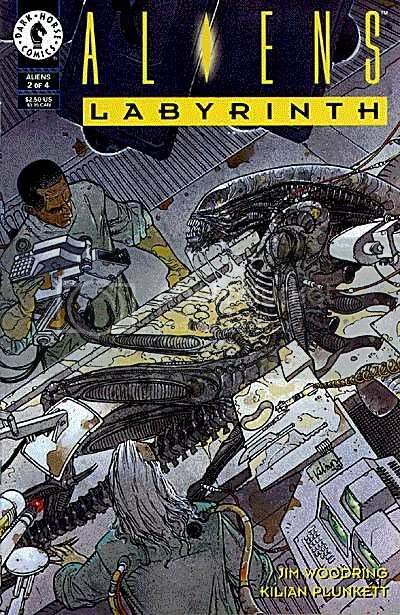 Anyway it tells the story of one mans attempt to control the most deadliest creature in the universe, no matter what the cost. 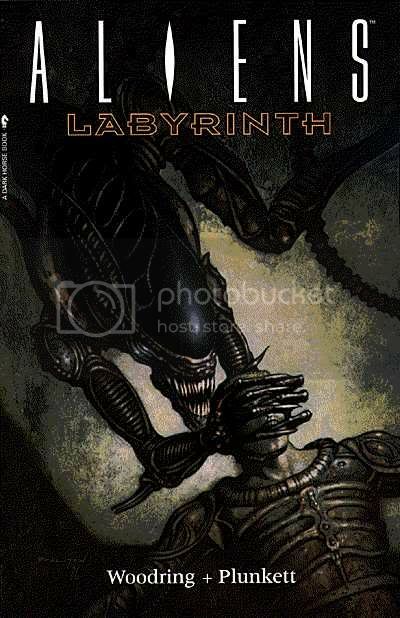 It takes a look into the Alien world from new angles while exploring the darkness of mankind. Alittle out of the ordinary it maybe aswell as short. 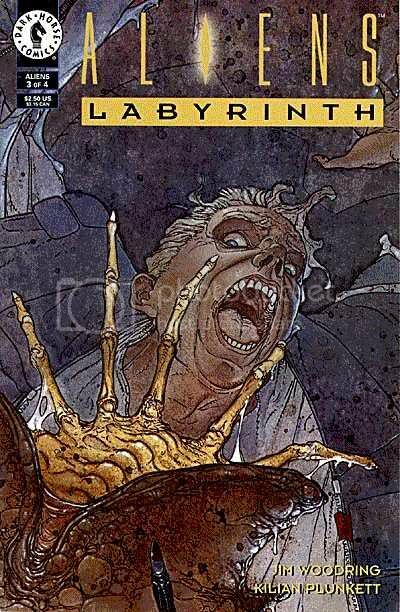 It has a good story and the art is ok but it doesn't call out to the reader. Though it has a good opening and ending the rest is nothing more than mildly entertaining filler. I hate sounding harsh but thats how I feal about it. All in all its something to do. Good, if a little short. The comic has good graphics and an Ok storyline buts seems to end very prematurely. I would recommend this comic only if you are a fan of the series.